We believe in the fundamentals of good design and often some of the most simple designs are the most eye-catching and effective. 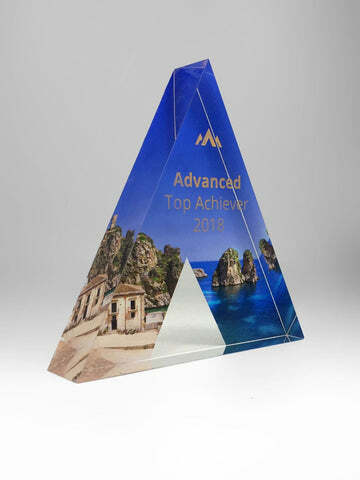 Point in case: the Acrylic Triangle Award. 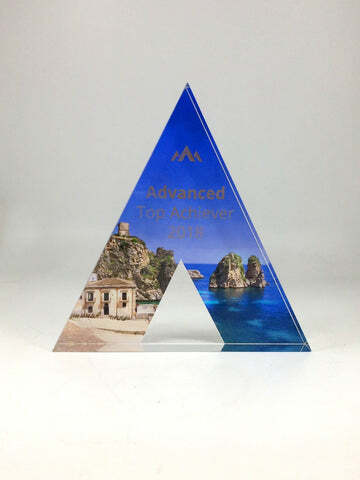 Made from a single piece of custom-cut, thick acrylic, the body of the award is that of a modern and stylish trophy. 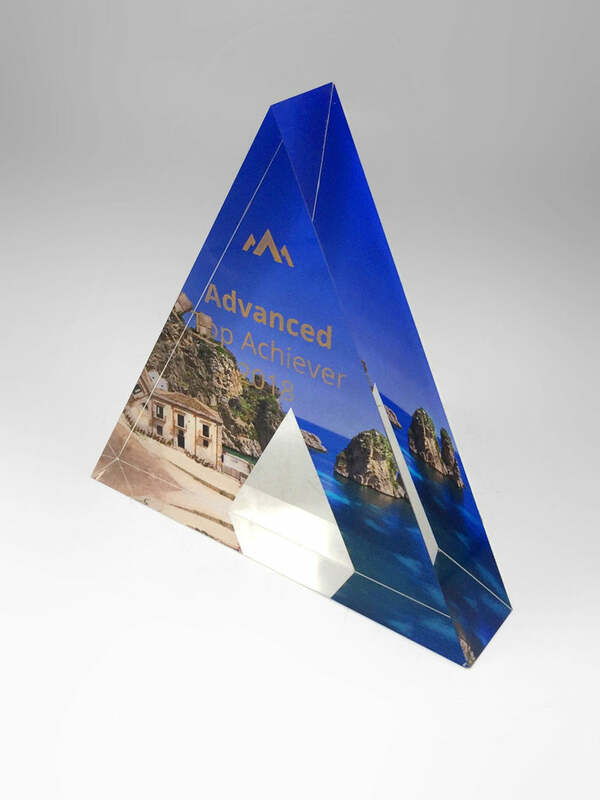 High resolution, rear printed graphics breathe colour and life into the diamond shaped award which is finished with hand engraved gold lettering. A custom made acrylic award that captures the timeless philosophy of good design.